Indexed in: Scopus, Chemical Abstracts, EBSCO, Ulrich's Periodicals Directory. Multiphase flow and heat transfer have been found a wide range of applications in nearly all aspects of engineering and science fields such as mechanical engineering, chemical and petrochemical engineering, nuclear engineering, energy engineering, material engineering, ocean engineering, mineral engineering, electronics and micro-electronics engineering, information technology, space technology, micro- and nano-technologies, bio-medical and life science etc. With the rapid development of various relevant technologies, the research of multiphase flow and heat transfer is growing very fast nowadays than ever before. It is highly the time to provide a vehicle to present the state-of-the-art knowledge and research in this very active field. To facilitate the exchange and dissemination of original research results and state-of-the-art reviews pertaining to multiphase flow and heat transfer efficiently, we have proposed the eBook series entitled Advances in Multiphase Flow and Heat Transfer to present state-of-the-art reviews/technical research work in all aspects of multiphase flow and heat transfer fields by inviting renowned scientists and researchers to contribute chapters in their respective research interests. The eBook series have now been launched and two volumes have been planned to be published per year since 2009. The eBooks provide a forum specially for publishing these important topics and the relevant interdisciplinary research topics in fundamental and applied research of multiphase flow and heat transfer. 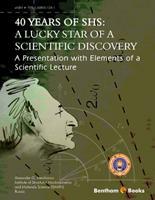 The topics include multiphase transport phenomena including gas-liquid, liquid-solid, gas-solid and gas-liquid-solid flows, phase change processes such as flow boiling, pool boiling, and condensation etc, nuclear thermal hydraulics, fluidization, mass transfer, bubble and drop dynamics, particle flow interactions, cavitation phenomena, numerical methods, experimental techniques, multiphase flow equipment such as multiphase pumps, mixers and separators etc, combustion processes, environmental protection and pollution control, phase change materials and their applications, macro-scale and micro-scale transport phenomena, micro- and nano-fluidics, micro-gravity multiphase flow and heat transfer, energy engineering, renewable energy, electronic chips cooling, data-centre cooling, fuel cell, multiphase flow and heat transfer in biological and life engineering and science etc. The eBook series do not only present advances in conventional research topics but also in new and interdisciplinary research fields. Thus, frontiers of the interesting research topics in a wide range of engineering and science areas are timely presented to readers. In volume 3, there are nine chapters on various relevant topics. 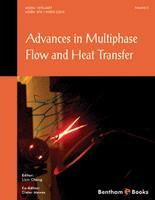 Chapter 1 deals with numerical and experimental studies on multiphase flow in stirred tanks. Multiphase flow in a stirred tank was addressed both experimentally and with numerical simulation. The flow field and the distribution of the dispersed phase were regarded in most sections. The Eulerian multi-fluid approach and k-e turbulence model were employed in numerical simulations. The good agreement found between experimental and predicted results underlines the importance of computational fluid dynamics in future research of multiphase phenomena in stirred tanks. Besides, some novel surface aeration configurations have been provided, which make such operations more reliable and economical. Furthermore, numerical simulation was applied in research of macro- and micro-mixing in stirred tanks. To account for the anisotropy of turbulence in the flow field, the algebraic stress model and large eddy simulation were adopted in the numerical study of hydrodynamics in multiphase stirred tanks as a result of their capacity on retrieving turbulent properties more accurately. Chapter 2 presents a study on two-phase flow pressure change across sudden contraction and expansion in small channels. The flow of two-phase mixtures across sudden expansions and contractions is relevant in many applications such as chemical reactors, power generation units, oil wells and petrochemical plants. As the two-phase mixture flows through the sudden area changes, the flow might form a separation region at the sharp corner and introduce an irreversible pressure loss. This loss occurs in practical pipeline connections and in the heat exchangers. The small and narrow channels are widely adopted in compact heat exchangers. Also, flow in small rectangular channels is an integral part of CPU cold plate using the liquid cooling with or without phase change. Predictions of these pressure drops had been made using correlations developed for the conventional tubes, extrapolations of these correlations to small diameter tube are questionable. In this study, the authors first give a short overview on the single-phase flow across sudden contraction and expansion, followed by a thorough review of the relevant literature for two-phase flow across sudden contraction and expansion. The applicability of the existing model/correlations for sudden contraction and expansion is then examined with the available data from literature. Comparisons for the pressure change data with the predictions of existing model/correlations indicate that none of them can accurately predict the data. Chapter 3 presents a topic on coalescence of drops in liquid. Coalescence of drops is an important process for the destabilization of liquid-liquid dispersions. This chapter presents the mechanism of coalescence of drops in dispersion. It also presents the theories of coalescence that are used at present. The film drainage theory and the stochastic theory of coalescence have been discussed explaining their merits and drawbacks. These models are evaluated with numerical examples. The role of van der Waals, electrostatic double layer, steric and hydration forces on the coalescence process has been discussed. The importance of adsorption of surfactant molecules at the liquid–liquid interface on coalescence time has been explained. Possible reasons behind the failure of the film drainage models in predicting the coalescence time in presence of surfactant have been explained. This chapter also presents the calculation of coalescence time in industrial equipment, experimental techniques employed for studying coalescence of a drop at a flat liquid–liquid interface, binary coalescence, and coalescence of two drops in motion. Directions for future research on coalescence have also been presented. Chapter 4 presents a review on carbon capture and storage with a focus on capillary trapping as a mechanism to store carbon dioxide in geological porous media. Carbon Capture and Storage (CCS) is a feasible short-to-medium term method to dispose carbon dioxide (CO2) which would otherwise be emitted into the atmosphere and cause potentially massively damaging climate change. In CCS, CO2 is captured, compressed and injected deep underground into geological formations. There are four main CO2 trapping mechanisms, namely stratigraphic or structural trapping, dissolution trapping, capillary trapping and mineral trapping. In this text we discuss all these trapping mechanisms with focus on capillary trapping, which has recently been identified as a rapid and reliable CO2 storage method. Chapter 5 presents a discrete particle model for dense gas-solid flows. The discrete particle model (DPM) is a mesoscale method used to study the hydrodynamics of dense dispersed flows. In this approach, the particle motion is described in a Lagrangian framework by directly solving the Newtonian kinetic equations of each individual particle while the gas flow is studied in an Eulerian framework. The constitutive relations for the dispersed phase are not required because the particle-particle interactions are modeled through a two-variant collision-handling algorithm. In this chapter a full understanding of the DPM technique is presented through a detailed description of the numerical model and the results of its applications to gas-solid fluidization systems. A multi-component numerical strategy developed by the authors to enhance the DPM efficiency is also presented. Chapter 6 presents a detailed experimental study involving flow boiling of water in microchannel. The work aims to study the different aspects of the problem such as pressure drop, heat transfer coefficient, pressure instability, and void fraction. Flow visualization has also been performed. Experiments have been conducted in silicon microchannels with trapezoidal or rectangular cross-section of hydraulic diameter 45-140 µm, and a microheater fabricated on the reverse side of the silicon wafer to provide well controlled and metered input power. The experimental data is compared with the annular flow model and various empirical correlations, and complemented with clear discussion of the observed phenomenon. In the two-phase regime, the average pressure drop increases with a decrease in the flow rate and reaches a maximum (with a minimum on either side), while in the dryout regime the pressure drop decreases with flow rate. The results suggest that there are up to four mass flow rate values with same pressure drop penalty and the operating point can be chosen with the maximum heat transfer coefficient. The average pressure drop is found to have a strong dependence on the channel aspect ratio and becomes minimum in rectangular microchannel for width-to-depth ratio of about 1.5. The instability in pressure drop has been quantified and linked to the underlying flow regime. The minimum PRMS/Pavg is found to occur when the flow transitions to annular. For the first time, a flow regime map is also obtained for such systems. The flow is found to be predominately annular at high heat flux and flow rate. A breakup of the flow frequency suggests that the flow is bistable in the annular regime. At a fixed location, the flow periodically switches from single phase liquid to annular, and vice-versa. Otherwise, all three regimes: single phase liquid, bubbly and slug are obtained. An image analysis technique has also been developed and utilized to estimate the void fraction as a function of position in the microchannel, heat flux and mass flow rate. The technique has been extended to obtain heat transfer coefficient purely from image analysis. Both void fraction and heat transfer coefficient are found to increase monotonically with position in the microchannel. There are several novel aspects of this study. For example, effect of microchannel aspect ratio on pressure drop is studied for the first time. Some guidelines for choosing the operating point with desired constraints have been proposed. Ways to reduce instability have also been explored. Development of flow regime map and flow visualization technique is not available in the literature currently. Pressure drop data near CHF condition have been presented. The results are interesting from both fundamental and electronic cooling point of view. Chapter 7 deals with an experimental investigation on two-phase flow boiling flow pattern, pressure drop and heat transfer of R-22, R-134a, R-410A and natural refrigerants of C3H8 and CO2 in horizontal circular small tubes. The experimental data were obtained over a heat flux range of 5 to 40 kW/m2, mass flux range of 50 to 600 kg/(m2•s), saturation temperature range of 0 to 15°C, and quality up to 1.0. The test section was made of stainless steel tubes with inner diameters of 0.5 mm, 1.5 mm and 3.0 mm, and lengths of 330, 1500, 2000 and 3000 mm. The effects of mass flux, heat flux, saturation temperature and inner tube diameter on the pressure drop and heat transfer coefficient are reported in this thesis. The experimental pressure drop and heat transfer coefficient were compared with the predictions given by some existing correlations. New correlations of pressure drop and heat transfer coefficient for small tubes that is based on the present experimental data are developed. Chapter 8 addresses characteristics of flashing-induced density wave oscillations on the basis of the experimental results in a boiling natural circulation system with an adiabatic chimney. Flashing is caused by the sudden increase of vapor generation due to the reduction in hydrostatic head, since saturation enthalpy changes with pressure. Flashing-induced density wave oscillations may, therefore, occur at low pressure. The oscillation period correlates well with the passing time of bubbles in the chimney section regardless of the system pressure, the heat flux, and the inlet subcooling. According to the stability map, the flow became stable below a certain heat flux regardless of the channel inlet subcooling. The stable region enlarged with increasing system pressure. Therefore, the stability margin becomes larger by pressurizing the loop sufficiently before heating. Chapter 9 deals with nonlinear dynamic characteristics of bubbling fludization. Nonlinear time series analysis techniques were applied to characterize bubbling fluidization. The experiments were carried out in a laboratory scale fluidized bed, operated under ambient conditions and various sizes of particles, settled bed heights, measurement heights and superficial gas velocities. It was found that a minimum in average cycle frequency, wide band energy and entropy with an increase in the velocity corresponds to the transition between macro structures and finer structures of the fluidization system. This minimum was mostly found in the macro structures of the bubbling fluidization system. Hurst exponent of the pressure fluctuations showed that the fluidized bed has a bifractal behaviour. The reciprocal of the break point in the Hurst profile is similar to the domain frequency of the bed. The method of delays was used to reconstruct the state space attractor to carry out analysis in the reconstructed state space. The state space reconstruction parameters, i.e., time delay and embedding dimension, were determined and the results showed that their values are different for various types of methods introduced in literature. Chaotic behaviour of fluidized system was determined by introducing two nonlinear dynamic invariants, correlation dimension and entropy in different ways. The state-space analysis reflected that a low dimension behaviour of the bubbling fluidization system. The nonlinearity test showed that nonlinearity cannot be concluded at all gas velocities. As the founding editors of the eBook series, we are very happy to see that the eBooks have been available to our readers since 2009 (two volumes per year). 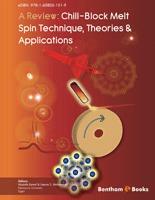 All the chapters have been reviewed by experts in the relevant areas. We are very much grateful to the authors who have contributed to the chapters and the reviewers who took their time and energy for their review. It is our great wishes if the eBook series are able to provide useful knowledge for our community and to facilitate the progress of the research in the field of multiphase flow and heat transfer. We would like to express our gratitude to our families for their great support to our work on the eBook series.